Experience Raw Power of Bare Metal Servers!! Upgrade your Business with Germany Dedicated Servers! ScopeHosts Germany Dedicated Servers are suitable for any business models. We provide Anytime Scalable dedicated servers configurations meeting all kind of industrial standards. We operate in Telehouse, a TIER-III datacenter located in heart of Germany, Frankfurt. This advanced TIER III datacenter is furnished with ultra-modern infrastructure, high power supply, high scalability, redundant power and best connectivity options. You’ll experience raw power when you opt for your own dedicated server resource from ScopeHosts. Looking for Costing Effective, Reliable and Scalable Servers that provide Optimum Performance to your needs? we have Germany Unmetered Servers, Germany Metered Servers and Germany 10Gbps Servers with 100Mbps, 1Gbps and 10Gbps Volume network connectivity on Europe`s most prominent Internet Exchanges. Our bare metal servers are built to handle the most processor-intensive and disk I/O-intensive workloads, including large databases and big data analytics, as well as latency-sensitive workloads such as gaming and e-commerce. Make right decision for your business growth by opting the robust and best servers. Also get a chance to customize the server as per your business specifications. Be a freelancer or a big enterprise, we have the most Reliable and Best Hosting Solutions for you. 1Gbps Volume Network Line with 95% percentile. Servers with High Volume 250TB Bandwidth. We believe in Quality, Reliability and Security. So we are not cheap and our Germany Servers match the Best Value in the market. We use enterprise level hardware's installed in our Dell and HP servers. Our feature-full servers will perform to the optimum best. We have incorporated 57 points of presence and 39 Internet Exchanges around the globe to ensure interminable network connectivity. We have customer friendly Support Level Agreement(SLA), based on the support levels chosen support is provided unceasingly. We are located in Top Tier, ISO certified, highly protected and scalable datacenter Telehouse in frankfurt, Germany. Our Remote Access Panel provides you with features to control and monitor the server without needing to open support ticket. Basic upto 1Gbps DDOS protection is provided for free along with all servers ordered for high protection against DDOS attacks. "I have used Scopehosts hosting services for a couple of years now and have been slowly moving all of my other websites for hosting to them as this company provides top quality secured services with excellent uptime." "I am especially impressed with scopehosts support and support team. Their support is 24/7, response time is very fast and the team is generally helpful and knowledgeable." "I have been using scopehosts dedicated server hosting service for 4 years now and have always been satisfied with their courteous and prompt service." FAQ - Have Questions? We Got Answers For You ! 1. Where are your servers located ? Ans: Our servers are located in Telehouse datacenter in Frankfurt, Germany. One of the TIER III datacenters with optimum security, reliability, network connectivity and advanced infrastructure. 2. How can I access my server ? Ans: We provide you with root or RDP access with complete root or administrative privileges through which you can remotely access, control and monitor your server. 3. Am I allowed to install only Linux operating system on my server ? Ans: No. You can even install Windows operating system on your server. Ensure to opt the suitable windows operating system during the service ordering process. 4. What if I want to change the existing Linux operating system installed on my server in the future ? Ans: You are allowed to change the server whenever you need. You can change the operating system through your client area or the control panel you have purchased. For custom operating system requirements you can contact our web hosting experts. 5. Will you provide me control panel to control my server activities ? Ans: Yes, we do provide control panel to control server and monitor server resources utilization. But we do not provide conrol panels for free. You have to purchase control panels as addons. You can purchase cPanel/WHM Panel, DirectAdmin Panel or Plesk Control Panels as addon. 6. Can I opt the customized plan with more disk space and CPU ? Ans: Yes, you can go for customized server solution. 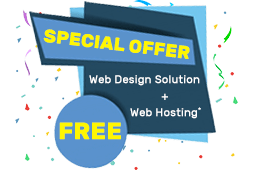 Just contact our web hosting support experts to get a tailor-made server solution as per your needs. 7. Do you offer managed servers ? Ans: No, our servers come unmanaged. But if you want us to manage your server, then you can purchase our management service to gain the complete server management service by our hosting experts. 8. What I can and cannot upload on my server ? Ans: You can use your server for personal or business purpose as you have the complete access over the server. But ensure to read our Acceptable Usage Policy to know uploading of what can result in cancellation of your service. 9. Can I order for additional IP address ? Ans: Yes, you can order for 15 additional IP addresses. Also you will get 1 dedicated IP address for Free along with your dedicated server. 10. Can I reboot my server at anytime ? Ans: Yes, you can reboot your server at anytime for free. Just login to your client area and click on the “Server Reboot” button. If you have purchased control panel, then you can execute this process via the chosen control panel. 11. Can I configure firewall on my server ? Ans: Yes, you are free to configure firewall on your server without any cost included. But if you want us to enable the firewall then you have pay for getting firewall enabled on your server by our experts. 12. How must server set up fees you accept ? Ans: We carry out free server set up for basic configuration of the server. We only cost you if you request for additional configuration of the server. 13. Can I buy additional bandwidth ? Ans: Yes, you can buy additional 10TB of bandwidth with Germany Servers. Ensure to not use the additional bandwidth for spamming purpose, doing so will get your service terminated. 14. I want to set up a dedicated games server. Are you servers suitable for gaming servers ? Ans: Yes, our high performing Dell dedicated servers and advanced network infrastructure are perfect for hosting dedicated game servers without any server delay or lag. Now set up your game server easily with our robust germany servers. 15. Are there additional fees for licenses ? Ans: Additional licensing fees does not apply for any Linux distribution. Only following templates come with additional fees: cPanel, Plesk, Windows Web, Windows Standard,etc. 16. What will happen if my server hardware fails ? Ans: After verification of hardware failure, we change the hardware within 2 hours normally but it may take more time based on criticality of the issue.